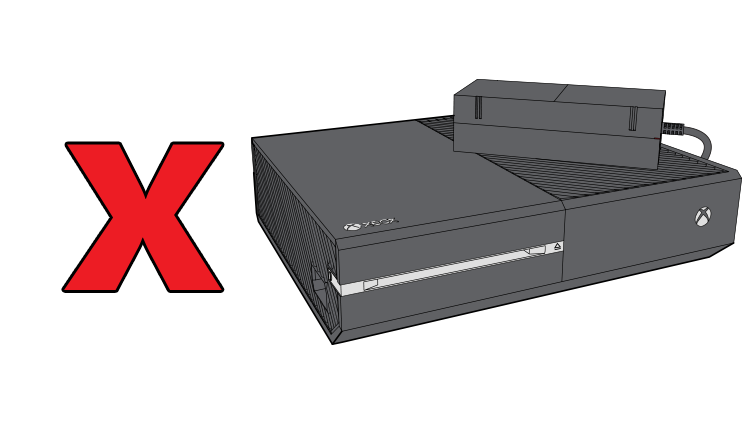 Read this page to learn how to correctly position your Xbox One X, Xbox One S, or original Xbox One console. 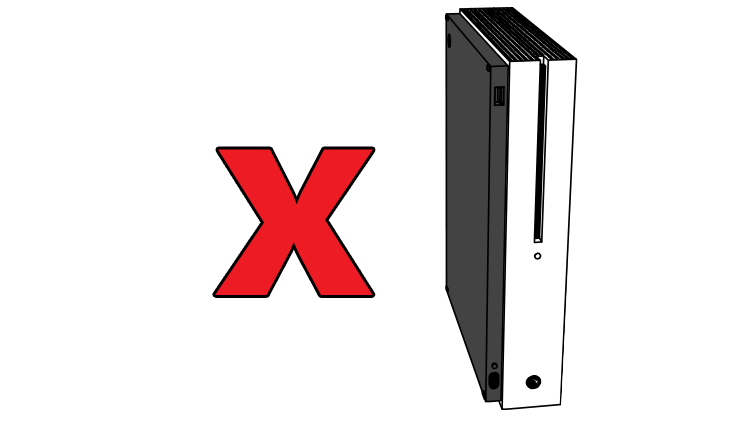 The Xbox One X and Xbox One S consoles can be placed either horizontally or vertically. The horizontal position offers the most stability. 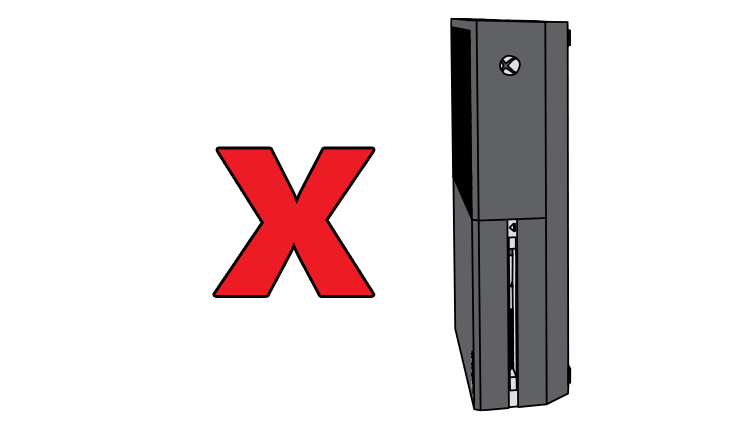 The proper stand is required when using the console in the vertical position. For more information about the stands for Xbox One consoles, see Using the vertical stands for the Xbox One S and Xbox One X console. Place the console on a stable surface. Do not place the console on speakers or subwoofers. The console should be in a well-ventilated, relatively cool place and away from direct heat sources. The space should be uncluttered. Do not put other objects on, under, or right next to the console. 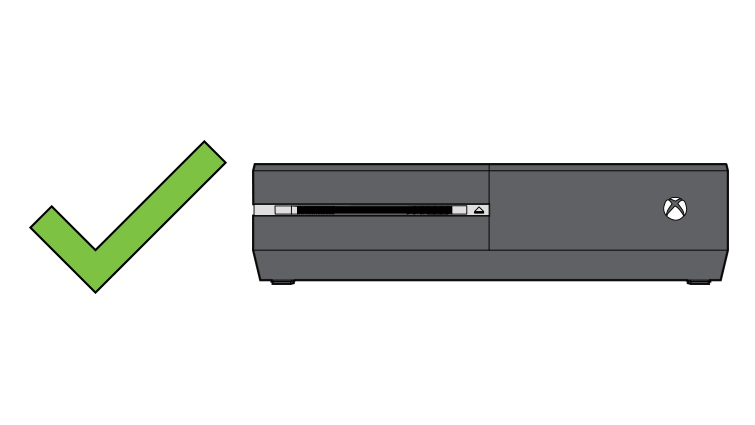 For example, don’t put an object on the top right of your Xbox One console. This may block the vents and cause your console to overheat. 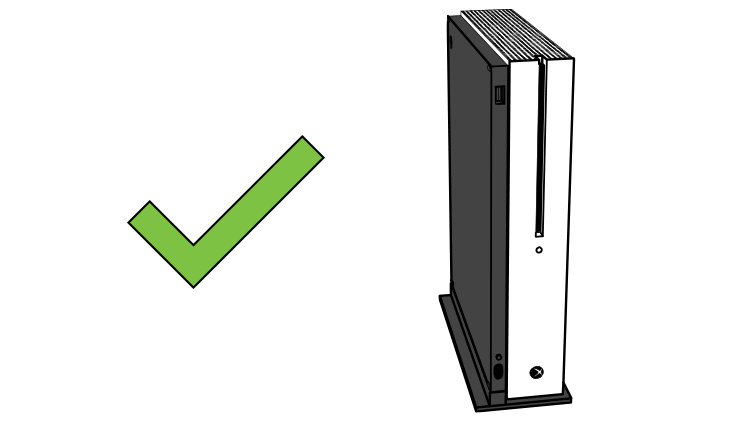 Important The original Xbox One console can only be placed horizontally. Uncluttered. Do not put other objects on, under, or right next to the console. 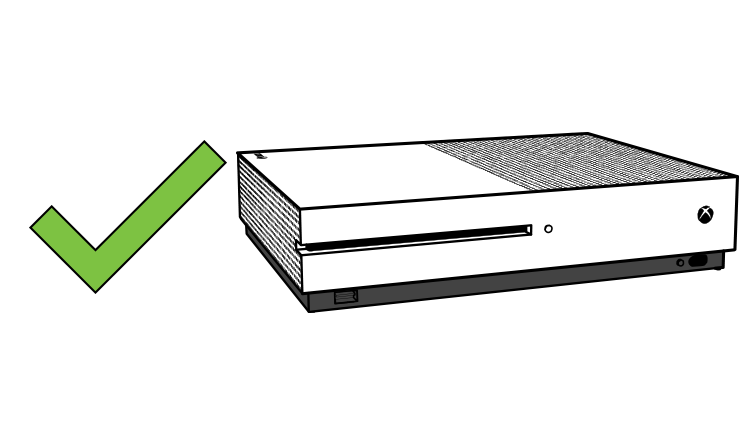 For example, don’t put an object on the top right of your Xbox One console. This may block the vents and cause your console to overheat. Would you like to contact Support regarding the "How to position your Xbox One console" issue you were reading about or a different issue?